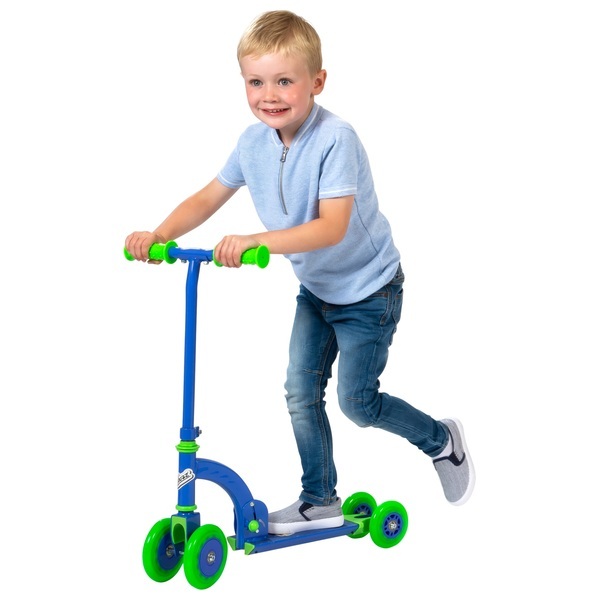 The My First Scooter Blue is a pre school trainer scooter that is designed to grow with your child. It has 4 large PVC wheels that provide extra balance as your child develops coordination and balance skills. You can changed the wheels from 3 to 2 as your child grows in confidence, and then when not in use the scooter can be easily folded and locked away.